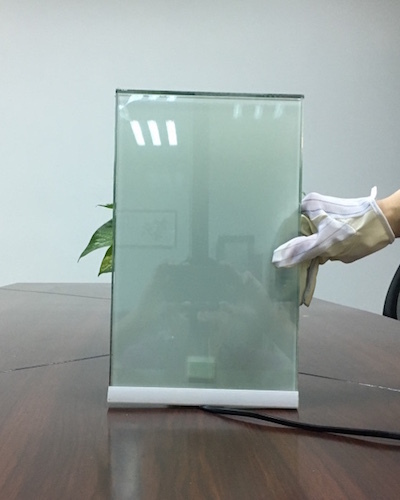 Switchable Smart glass is a kind of high-tech special glass which is laminated of two pieces tempered or clear float glass with PVB/EVA and smart PDLC Film in between. The glass have same function as smart PDLC Film can switch from opaque to transparent instantaneously. 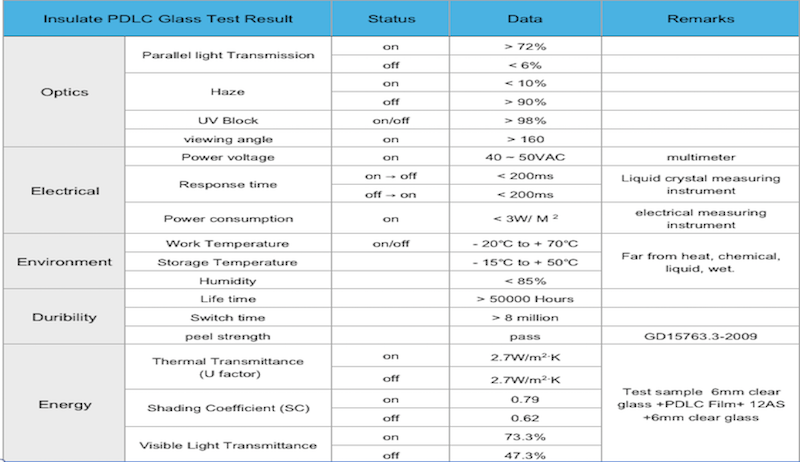 It is transparent when power on and opaque when power off, The transmittance can be adjusted with voltage regulator. The use of smart glass can save costs for heating, air-conditioning and lighting. 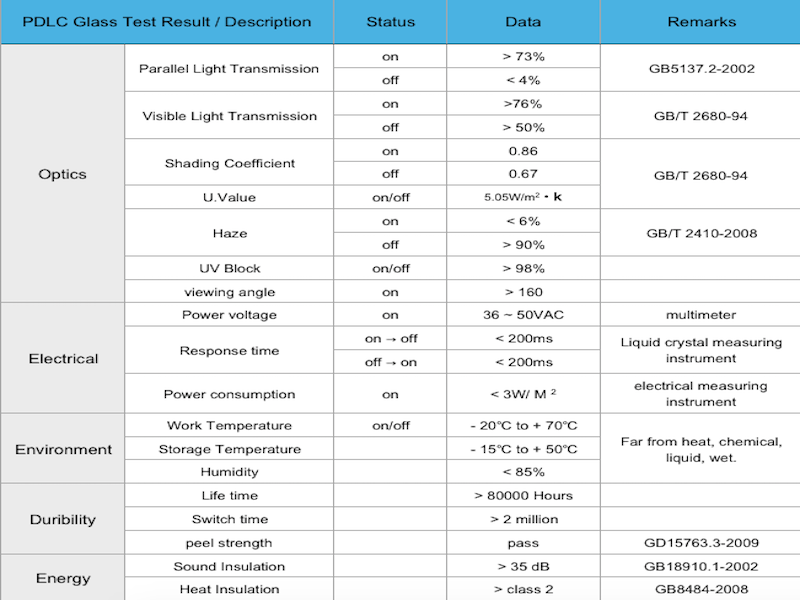 When opaque , liquid crystal or electrochromic smart glass blocks most UV. And the smart glass can also work as a rear projection screen. Commercial – Office partition screens, doors and windows, roof-lights. Industrial – Machinery screening, roof-lights, doors, components. Rail – driver privacy and security screens. Rear Projection – internal or external high resolution rear projection screens. 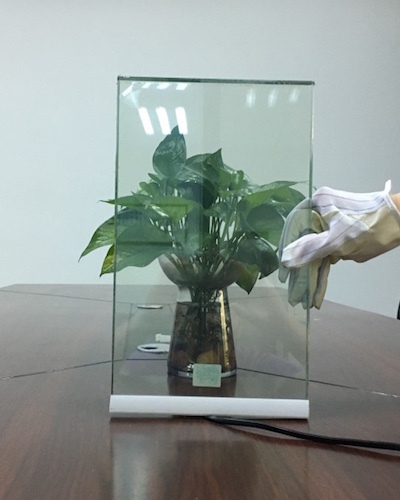 Switchable smart glass has been widely known for many years, it works mainly for privacy from switch on and off as a safety lamination glass instead of blinds. 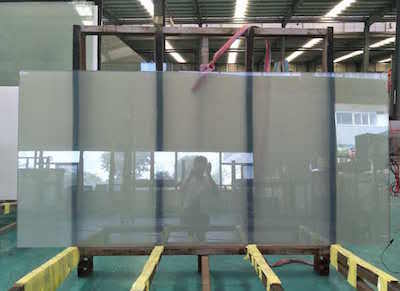 During many years doing research and testing, Vanlong makes the smart glass improve to double-glazing glass which act high performance of energy-saving, Heat and sound insulation. 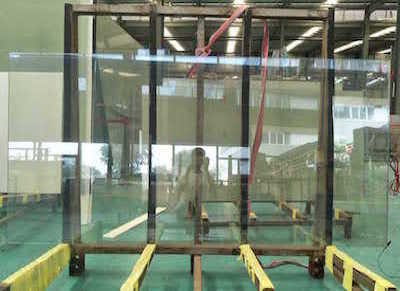 It combined with two or three layers glass with airspace and PDLC Film stick hardly on one surface of the glass. This Switchable double glazing unit widely use for indoor partitions especially curtain walls. with Shading coefficient 0.22-0.49 and Heat transfer coefficient 1.4-2.8W(m2.K). We made the glass perfectly combined PDLC Film function to IGU function.